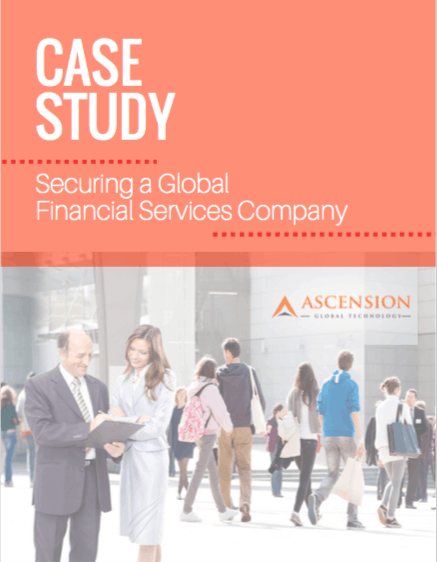 Find out how Ascension Global Technology has helped it’s clients secure their digital IT business operations to reduce cyber risk and improve operational efficiency. Click on the above case studies for access. AGT does an excellent job, is always punctual, and has demonstrated on every occasion that their primary goal is to put the interests of my organization first. AGT’s advisory and business service skills are some of the very best. Our business association has afforded us the easy decision to locate all of our data products into the environment. No matter what business sector or industry you are in – cyber security is a must. We work with companies, organizations, and enterprises across all industries and sectors. AGT is a boutique cybersecurity/IT consulting firm on a mission to safely guide our partners into the digital era. Our services are designed to empower enterprises to achieve their IT vision through a unique combination of powerful tools and expert ecosystem. We guide our clients in developing strategies to implement and deploy successful cybersecurity solutions to protect from data and financial loss. With our innovative technology partners and extensive expertise in cybersecurity strategy, security consulting, project management, integration and architecture services, we help guide our clients through the digital transformation process, address security gaps and improve their security posture. Ready to Improve Your Cybersecurity?